Chicken is the most consumed ingredient in the world and it makes some delicious recipes in different cuisines. We have compiled top 5 chicken recipes of 2016 that are not only unique but also healthy and easy to make at home. Let’s begin the count down. Cheesy chicken balls recipe made to our final list due to its worldwide popularity and easy to cook recipe method. 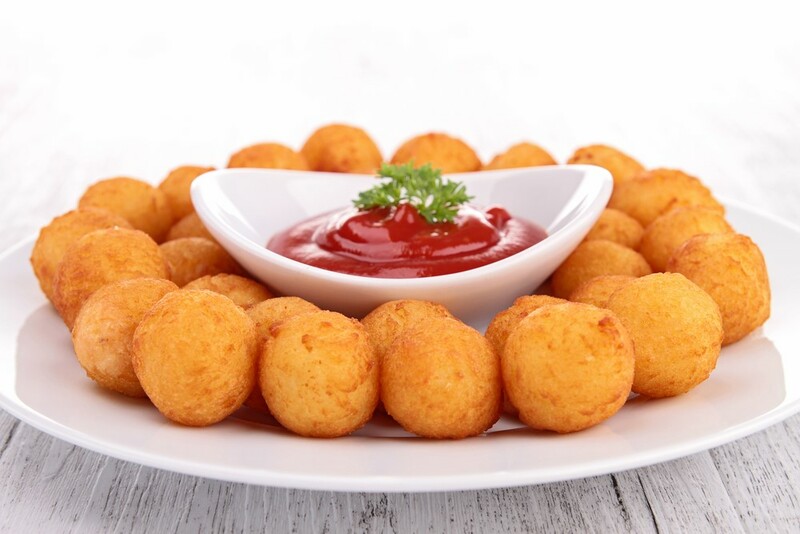 Chicken Cheese Balls can be served as appetizer or in the main course platter. Different kinds of sauce can be serve with it including ketchup, mayonnaise, thousand island, green chilli or even cheesy sauce. Fresh Veggies salad compliment it and enhance the healthy nutritional values. The main ingredients are chicken breast, mozzarella cheese, egg yolks, and flour. The good thing is that you can keep the spice level as per your preference. Another benefit is that you can use your own mix of ingredients to give it a different flavor. Checkout the complete recipe method of Cheesy Chicken Balls here. 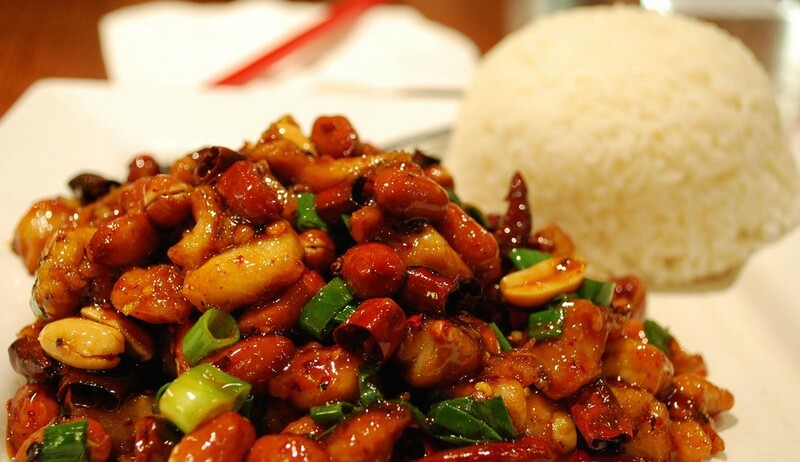 Kung Pao Chicken is the most famous Chinese dish available in almost every Chinese restaurant around the world. Its deliciousness took it to home and people especially young food lovers have starting making Kung Pao at home. The main ingredients include spices, boneless chicken, fried peanuts and vegetables. Generally, it is served with boil rice. Here is the recipe for Kung Pao Chicken with video from Tastemade. The Asian-style cobb salad is different and lighter than traditional cobb salad because it doesn’t contain cheese and bacon. 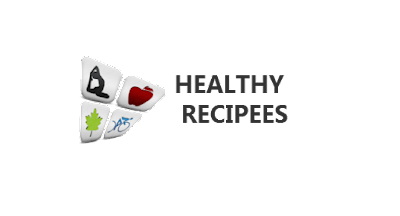 This is the most easy, unique and healthy recipe full of nutrition. 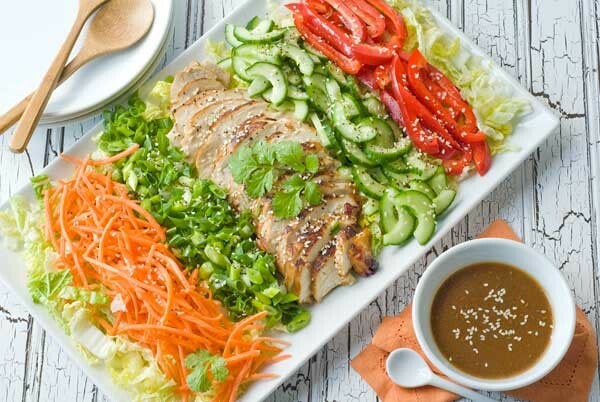 It contains fruits, vegetables and boneless chicken topped with Vinaigrette. You can customize the choice of fruits and vegetables. Asian-style cobb is most suitable for lunch or supper. Here, is the easy recipe for healthy Asian-style cobb. Chicken parmigiana, or chicken parmesan is a famous Italian-American dish. 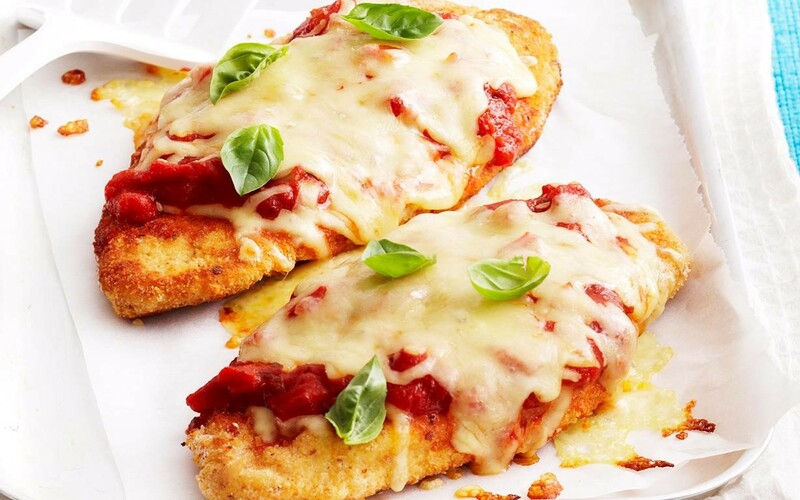 It includes breaded chicken breast topped with tomato sauce, mozzarella and parmesan cheese. Chicken parmigiana is also used in different meals, such as sandwiches and pies as well as in the eating contests at some restaurants. It is served with bread slice, fries, salad, noodles or fried egg in different regions. 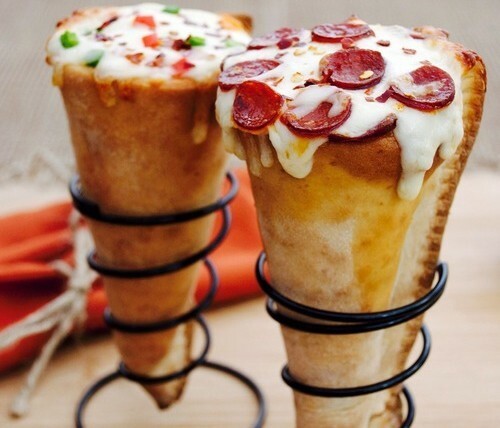 Pizza cone is a reinvention of pizza and ice-cream cone. It is the most popular chicken recipe of the year 2016. 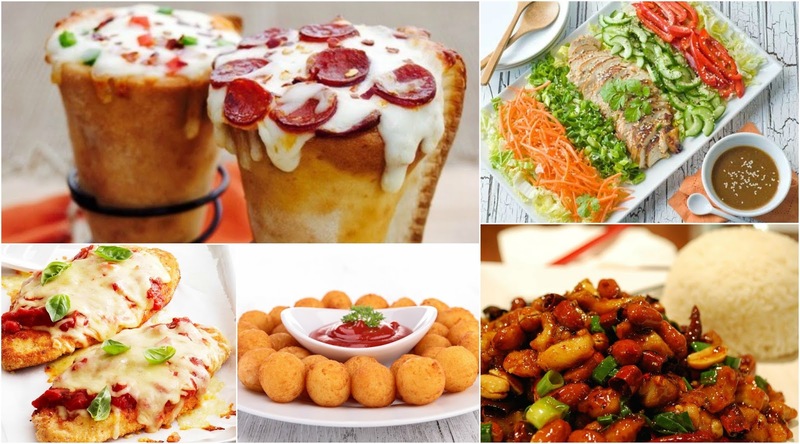 Many restaurants and pizza parlours have introduced pizza cone in their menu. The ingredients and combination flavours are same as normal pizza. It is just differentiated by the shape. Kids like it more as it is easy to eat and attracts them more than usual pizza. So this was our best recipes for 2016. If you have liked any specific dish please share with us. If you have not tried any of the above top recipes in 2016, try it in 2017 and you will know why we have made this list of top 5 chicken recipes. Pizza cones are awesome. Not very widely available in UK though.